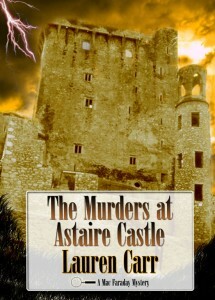 The Murders At Astaire Castle was another installment of the Mac Faraday Series by Lauren Carr. The cover was an easy one to come up with considering the subject matter and synopsis. You cannot go wrong with a spooky old castle (which the inspiration came from Scooby-Doo) in a perspective of dramatic excess! Once I start a series, much like at work, I do my best to keep the overall look and design similar so the audience that has fallen in love with the author’s style carries over to help identify the author’s products all across the world. To see the full cover, click the image. This entry was posted in ACORN COVERS and tagged art, clients, design, freelance, Lauren Carr, projetoonline.com, The Murders At Astaire Castle, Todd Aune by Todd Aune. Bookmark the permalink.